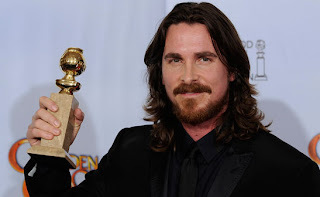 Christian Charles Philip Bale was born 30 January 1974 in the Welsh town of Haverfordwest, Pembrokeshire. His first starring role was in the 1986 TV movie Anastasia: The Mystery of Anna. Bale's big break came in 1987 when he starred in Steven Spielberg's Empire of the Sun as Jamie "Jim" Graham. This role earned him critical praise and the first ever "Best Performance by a Juvenile Actor" award from the National Board of Review of Motion Pictures. His first geek role was in the action film about a world destroyed by dragons called Reign of Fire (2002). In that same year, he also did the sci-fi film Equilibrium (2002) as elite law officer John Preston, in a dystopian world controlled by anti-psychotic drugs. His greatest geek role is as the superhero Batman in the 2005 film Batman Begins . An international triumph for Warner Bros., it cost $135 million to produce and made over $370 million in returns worldwide. Bale's performance was well received by critics and fans alike, earning him the Saturn Award for "Best Actor." He reprized his role of Batman in the two sequels The Dark Knight and The Dark Knight Rises. 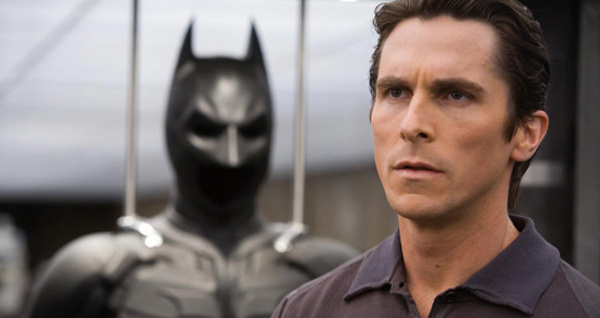 The Batman movies with Christian Bale have been a box office smash. Bale also thrilled geeks by playing John Conner in Terminator Salvation (2009). 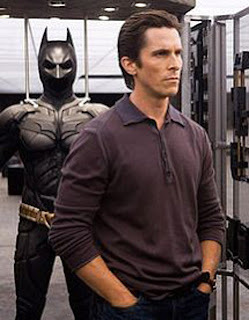 What do you think of Christian Bale? What was your favorite role or movie he's done? You left out his iconic role in "American Psycho." That movie is awesome. Especially when he's going on about how great Huey Lewis is and then chops off a guy's head. Talk about creepy! I should forward this to my youngest sister. She loves her some Christian Bale. You also left out The Fighter. Even though it was just a supporting role, I still consider that role to be one of his major acting triumphs. That said, I'd forever see him as the nearly invincible John Preston from Equilibrium. Good one Pat. That part came out of nowhere. My wife has a thing for Christian Bale although she's more into Hugh Jackman now. Equilibrium and Reign of Fire are both so underrated as films. I was more envious of Matthew McConaughey in Ring of Fire though. The dude was cut. I work out four times a week at the gym and I'm still not quite there. "Reign of Fire" is underrated Alex. The Star Wars camp fire story is great. Didn't Matthew have the worst death in movie history though? So anti-climactic. I do love Christian Bale. I loved him in Equilibrium! The first movie I ever saw him in was when he was just a kid and starred in "Empire of the Sun" in '87. I still remember seeing that in the theater. He was good even that young. I liked him in "The Prestige" too. I still have to see "Reign of Fire"- I can't believe I still haven't seen that. Nutschell, he was great in that film. Very intense. SQT, I've never seen Empire of the Sun. The Prestige was great! Nice twist ending especially if you didn't know about it. I don't remember any of his older movies. I'm sure I saw "Empire of the Sun." It was just so long ago. He is nice to watch, though. I'm hoping to see Batman this weekend.